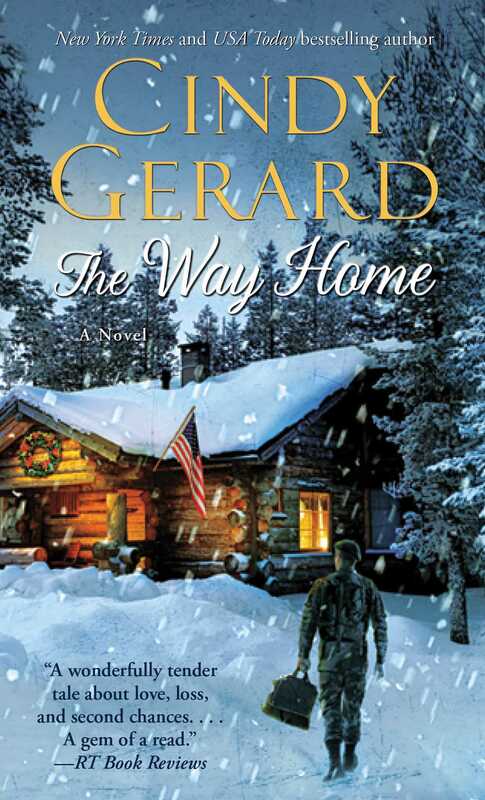 New York Times bestselling author Cindy Gerard’s novel about a soldier’s wife and a daring rescue mission is “smart, romantic, exciting, and so emotionally satisfying” (#1 New York Times bestselling author Robyn Carr). Killed in Action—the most dreaded words imaginable for a soldier’s wife. Jess Albert has been living with them for four years, since the death of her husband in Afghanistan. Finding blessed numbness in routine, she doesn’t dare to look ahead, any more than she can bear to look back. Then Tyler Brown, a former special-ops warrior, shows up at her small general store in Minnesota North Woods, jarring her back to life. Jess knows better than to fall in love with another man who places duty to his country before love of his wife—but there’s no denying the longing and the hope for a future that Ty makes her feel. A world away, a lost American soldier clings to life and sanity in a lantern-lit cave. At his side is a dark-haired and dark-eyed woman whose touch is caring, despite the resentment he hears in her voice and sees on her face. But is it honor igniting her compassion for her enemy, or is it something more? A heartwarming, richly emotional, action-packed story about homecomings, The Way Home follows two women on opposite sides of the world. While they both walk a dangerous path between betrayal and honor, they each must find for themselves where to draw the line between duty and love. Today, of all days, Jess Albert needed routine. Most days, she got it. Shop keeping wasn’t exactly a glamorous, exciting occupation. In fact, every day was pretty much a repeat of the day before and the day before that. Little mini Groundhog Days, stacked up like cordwood, one on top of the other. “Until tomorrow, my little lotus blossom. Dream of me.” Boots England, one of her regulars, wiggled his busy white brows and blew her a kiss. Jess grinned as he tucked his newspaper under his arm and limped on his recently replaced knee toward the front door of the Crossroads General Store. “Ah, but what’s life without a little danger?” He let himself outside on a hot rush of July air to drive back to his lakeside cabin for his afternoon nap and his wife of almost fifty years. The bell above the front door dinged softly behind the irrepressible old flirt, sounding the same as it had since Jess’s father had first set up shop almost fifty years ago. She loved the sound of that bell. It was comforting and comfortable, the bedrock of her childhood, as ingrained in her psyche as the scent of sunscreen, bug spray, and the cherry nut ice cream she’d already scooped gallons of this summer. She’d spent her youth playing on this scarred pine floor, then working behind the counter when she got older. And after burning out as an ER trauma nurse, she’d taken over the store when her parents had retired to Arizona three years ago. So, yeah, she loved the sound of that old bell. Especially because every time it rang, it meant business, which was good, because her quarterly taxes were due soon and, as always, she was a little short on cash. Today, she also loved it because it meant she had another customer to help keep her mind off the fact that this particular day would be tough to get through. She glanced at the framed eight-by-ten photo of her and J.R. on the wall behind the cash register. Suntanned and smiling, their whole lives ahead of them . . . And then it wasn’t. At least, not for J.R. He would have been thirty-five today. If he’d been home and not deployed, she would have baked him a cake, and some of his buddies on the post would have stopped by for a few beers. But the last birthday J.R. celebrated had been thousands of miles from home. He’d been thirty-two. Eight months later, he was dead. She looked up at the young father making some final purchases before he and his son headed out for a week of camping and fishing. He’d added a map and two black ball caps with “Lake Kabetogama” embroidered in red across the bills to their stack of supplies. The Crossroads General Store was a north woods version of a Walmart, on a much smaller and less state-of-the-art scale. The store had been supplying goods to locals and travelers alike for more than eighty years. You needed boots? Whiskey? Bait? Groceries? DVD rentals? Anything you could think of, the Crossroads provided. The boy looked to be around ten, with flashing brown eyes and buzz-cut blond hair. He was the image of his father and clearly antsy to start their grand “just guys” adventure. “Do you think we’ll see a bear?” Equal measures of hope and trepidation filled the boy’s question. The boy’s eyes grew as big as bobbers. The bell above the door rang again, and Jess glanced up from the cash register in time to see broad shoulders and the back of a baseball cap disappear down the center aisle toward the live-bait tanks. It was a sight she saw dozens of times a day during the summer season. Another fisherman burning with fishing fever, hoping to get lucky and needing some bait. Since she was on her own until Kayla Burke, her mainstay summer help, got back from a bank run, she let the newcomer figure out what he wanted while she finished ringing up twenty gallons of gas, a mocha cappuccino, a root beer, and the rest of the groceries for the campers. She gave them directions to Wooden Frog Landing, where they could put their boat in, and wished them good luck as they headed out the door. Coming out from behind the counter to check on Mr. Ball Cap, she nearly tripped over Bear, her twelve-week-old Labrador pup. All glossy black fur, big clumsy feet, and happily thumping tail, Bear had “assumed the position” and napped soundly by her feet. “No, don’t get up.” She grinned at the oblivious dog and headed down a row of shelves stocked neatly with everything from canned goods to marshmallows to fishing lures, toward the place where she’d seen the top of the ball cap disappear. “Sorry for the wait. What can I get you?” she called. The voice stopped her cold. And routine, mundane, and comfortable shifted to excitement and chaos in one heartbeat. Although the stocked shelves hid him from view, she knew exactly who was back there. It had been a year ago February since she’d met this man and exchanged a very few words with him. No way should she have remembered the timber and the pitch of his voice so clearly after . . . eighteen months? Yet she was one-hundred-percent certain it was him before she hesitantly turned the corner to face him. “Surprise.” He smiled, hopeful and expectant and even a little shy. Coupled with his very large, very striking, and very unexpected presence, it set off a handspring of emotions in her stomach. A very long way. And not just from Florida but a long way from his life. A heck of a long way from the cold winter night when he’d swooped in and out of her life like the storm he’d blown in on. And now here he was, back again. One of the men who’d been part of a dangerous rescue. A man who had made enough of an impression on her that she’d opened up her gun safe to him and three other virtual strangers based on his word alone. Unable to stop herself, she stared at Tyler Brown. Although he looked nothing like J.R., she suspected he was like him in every other way. Every way but one. Ty Brown was alive. J.R. wasn’t. Her husband had died thousands of miles from home, fighting a war she’d never quite understood, hadn’t truly sanctioned, and hadn’t been able to keep him from fighting. Looking at Ty—who’d made her think of J.R. the first time she’d seen him—unsettled her as much as it confused her. And, unfortunately, excited her. Yup. Her day had gone from mundane to totally bonkers to the tune of a bell above the door. Florida is no longer surrounded by an ocean full of fish? Because he had this little “If you buy that, I’ve got some farm land in the Sahara desert I’d love to sell you” smile, she avoided the obvious questions, such as: What was he really doing here? And the most damaging one, Why did it seem to matter so much? He was laughing at her now . . . not unkindly but as if he found her entertaining, which meant he saw right through her. Lord, she hoped he didn’t have her figured out. Or maybe she did. Then he could tell her exactly what was going on in her head, because she didn’t have one solid clue. Well, maybe one. There hadn’t been a man in her life since J.R. And there’d never been a man who triggered the physical reactions this man had at first sight, all those months ago. Reactions he triggered again today. It had unsettled and puzzled her that she’d experienced such a strong, instant physical reaction to him. She’d chalked it up to a cold, isolating storm, the threat of imminent danger, and a lot of long, lonely nights alone in her bed. Then he’d disappeared from her life as quickly as he’d come into it. Which had been good. Which had been fine. She’d actually been relieved when he hadn’t called, even though he’d said he would—at least, that’s what she’d told herself. She didn’t want to get involved with anyone. 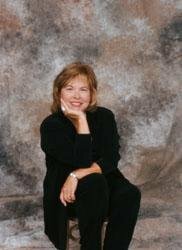 She especially didn’t want to get involved with a man like Tyler Brown, who was just like J.R. Special-ops soldiers, whether on active duty or retired, were always warriors. They would always be the men leading the charge, putting themselves in danger, living for the adrenaline rush, and dying for God and country and the guy next to them in the trenches. She’d lived with that man. She’d loved and tried to understand that man. But neither love nor understanding had been enough to keep him home, keep him happy, or keep him alive.